A Hindu extremist in Adigar, Phulbani, Kandhamal district on Jan. 25 attacked a pastor’s hut and harassed his family, according to the Global Council of Indian Christians (GCIC). Jaleshwar Pradhan threw stones at the home of Pastor Patiba Mohan Kota while he was away, verbally abused his wife and pushed his daughters, shouting, “You Christians must not live here – it is not your land; the last time your houses were only damaged, this time all of you will be buried here,” the GCIC reported. Though damage to the house was minimal, the pastor and his family were anguishing in fear as Hindu extremists have previously tortured him physically, causing partial loss of eyesight and hearing, reported the GCIC. The pastor was among those whose houses were destroyed during anti-Christian violence in 2008. Pradhan was booked under various sections of the Indian Penal Code, reported the GCIC. Karnataka – Hindu extremists from the Rashtriya Swayamsevak Sangh on Jan. 23 barged into a prayer meeting led by Pastor Chandrakanth Chavan of New Life Fellowship in Haliyal, Kanara, beat him and stripped him naked. The Global Council of Indian Christians (GCIC) reported that the extremists shouted at the Christians in coarse language as they started beating and kicking Pastor Chavan and Kishore Kavalekar before parading the naked pastor in a procession throughout the village. At about midnight they tied the pastor to a tree near a temple and sent for police. Haliyal Police Sub-Inspector Umesh Shet and a dozen officers took Pastor Chavan and Kavalekar into custody for questioning, according to the GCIC. Both were charged and locked up but were released the same night. 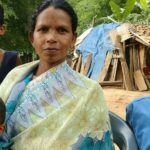 Odisha – Raikia police on Jan. 9 arrested Pastor Sukadeb Digal from his home in Sipainju (or Sipainjari) village, Tiangia, G-Udayagiri Block, in Kandhamal district on false charges of forced or fraudulent conversion. The Global Council of Indian Christians reported that police incarcerated him. Digal, pastor of Danekbadi Baptist Church at Daringbadi, remained in jail at press time. Karnataka – Armed Hindu extremists on Jan. 9 beat Christians at a prayer service in Anekal, Bangalore, seriously injuring a pastor and others and accusing them of forceful conversion. The Global Council of Indian Christians (GCIC) reported that a pastor identified only as Shanthakumar had organized the service at the home of another Christian where about 20 people had gathered in the Coogur area. At about 10:30 p.m. some 20 Hindu extremists attacked with huge clubs and iron rods, ranting in foul language and accusing them of fraudulent and forcible conversion, according to the GCIC. In the beatings, Pastor Shanthakumar lost one finger, and a church member identified only as Yashodamma received treatment for head and nerve injuries at Anekal Government Hospital. Another church member identified only as Vijay suffered a serious leg injury. The Christians reported the matter to the police; officials have held an inquiry and registered a First Information Report against the extremists, but no arrests have been made. Andhra Pradesh – Hindu extremists from the Bajrang Dal on Jan. 17 beat a pastor and another church member in Yadagirgutta, accusing them of forceful conversion. The All India Christian Council (AICC) reported that the pastor, identified only as Kiran, and another Christian were on their way to visit a church member who works with the tourism department in Yadagirigutta, Bhogri, a Hindu pilgrimage town, when the extremists took notice and gathered a mob to attack them. As is customary in India, police arrived and arrested the victims. After area Christian leaders’ intervention, the accusations against the two Christians were found to be baseless, and they were released without charges, according to the AICC. Karnataka – Hindu extremists from the Bajrang Dal on Jan. 1 attacked a New Year’s prayer service and accused a pastor of forceful conversion in Humnoor, Bagalkot. The Global Council of Indian Christians (GCIC) reported that the extremists stormed into the prayer meeting led by Pastor Siddu Seemanth Gunike of Blessing Youth Mission Church, ordered it to stop and beat the pastor, alleging that he was involved in fraudulent and forced conversions. After manhandling the pastor and other Christians, the extremists sent for Jamkhandi police, according to the GCIC. The sub-inspector and a few other officers arrived and began questioning those present. Area Christian leaders intervened, and police took a written statement from the extremists that they would not disturb the Christians again; officers advised the Christians to continue their prayer services. 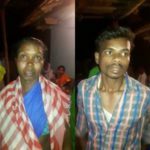 Karnataka – About a dozen Hindu extremists in North Kanara forced their way into a New Year’s Eve prayer service, ordered Christians to stop praying and beat them. The Global Council of Indian Christians (GCIC) reported that extremists led by Biju Nair and a friend identified only as Venkatesh accused the Christians of fraudulent and forcible conversions. The extremists informed police, and two police constables arrived and joined in harassing the Christians, threatening to harm them. The officers ordered the pastor to go to the police station the next morning, and on that day Christians filed a police complaint against the extremists and the two constables for trespassing on church property and for their heavy-handed tactics, according to the GCIC. Later, the Christians met with Ramnagar Police Sub-Inspector Babu Madar and briefed him about the incident. The sub-inspector reprimanded the two constables and advised the pastor to continue the prayer services without fear.